There are many packing companies that offer unpacking and packing services for moving in NYC, but not all of them are as reliable as Expo Movers. With us, your move to a new house will be spotless. There are many moving companies in NYC that offer packing & moving services. Expo Movers offer professional house packing services that can be customized to meet your needs during a local or long-distance move. A proper and professional packaging of furniture, personal belongings, and household appliances when moving office, apartment, or a house is necessary to avoid possible material losses during transportation. With our packing service, you will avoid all the stress related to the moving process. We offer a full service to meet all your needs. We can pack and move almost anything. This can include your expensive wine collection, flat-screen TVs, musical instruments, chandeliers, gym equipment, etc. Whether you just need assistance in packing to move a few small things or don’t have the time to pack your entire house, we are here to help you. We offer free moving quotes so you can find out the cost of your move before agreeing to anything. We are a professional moving and packing company that packs for you anything you need. We are responsible for your property at all stages of the move. Employees of our company have the necessary qualifications and knowledge for the proper packaging and safe storage of your property. What Packing Services Do You Need? Full packing services. If you hate packing and don’t want to think about it at all, this option is for you. We will send a team of skilled packers to pack your entire home. The things you need on the night of moving will be quickly packed on a moving day. Partial packing services. If you don’t mind packing some of your things on your own but still would like to get some help in handling bulky and large-sized stuff, our packing and storage company can accommodate that too. Unpacking services. When you arrive at your new home, we can offer assistance in unpacking your boxes. Our specialists will do it fast and remove all the used packing materials once the work is done. Why Is It Better to Use Packing and Moving Services? When preparing to move, many people prefer to pack things up on their own instead of hiring professional moving firms. But when you pack things incorrectly, it can result in deformed, broken, or damaged items. Thus, it is recommended to use the help of professionals. Insufficient or incorrect fixation of things with scotch tape (as a result, boxes, and bags get scattered in the truck during transportation). Not fully loaded boxes (in this case, boxes crumble and fall). The lack of gasket materials (broken dishes and glass). The lack of labeling on boxes. Packing is not as simple as it might seem. However, our employees, who know all the packing techniques, will easily handle this task. Our company in New York City carries out an apartment and business moves with the provision of high-quality and reliable packing and unpacking services. With us, you can get affordable relocation services customized to your individual needs. If you want to move without losses and damages, entrust all the preparations to our professional helpers. We always bring the necessary packing supplies and tools with us. This allows us to dismantle the furniture and equipment, efficiently pack all your things, load them in the truck, and haul them to the storing facility or your new residence. Upon arrival, we will unload and unpack the boxes. We can also arrange the furniture the way you want it. Fragile things, like plates, chandeliers, etc. We have our own fleet of vehicles equipped with special lifts and other fasteners to ensure the safety of your goods. When hiring our skilled movers, you do not have to worry about the safety of your property. How Do Unpacking Services Work? Our packers begin to unpack your boxes once they arrive at your new home. We empty all the boxes and unwrap your belongings to place everything according to your wishes. When we finish unpacking, we will remove all the used materials and boxes. With our professional packing services, you get a hassle-free move. 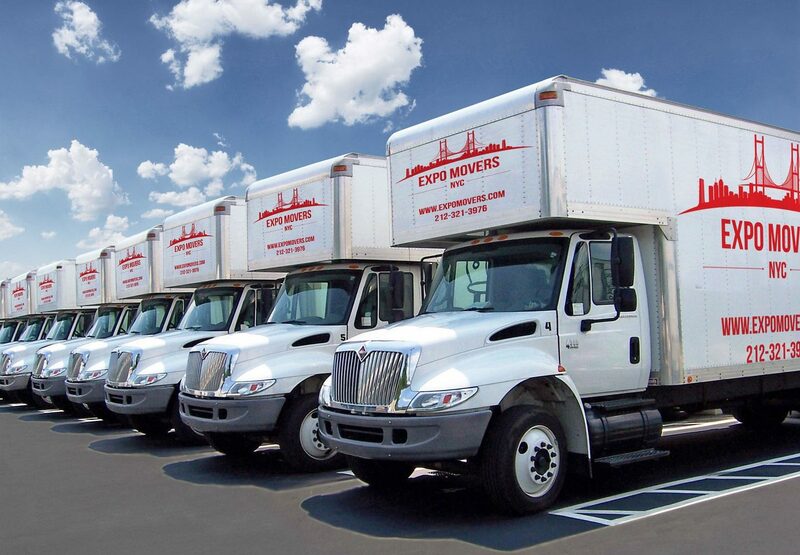 If you need additional help in unpacking a few boxes, Expo Movers can provide you with the basic unpacking service. If you want to decorate your residence upon arrival, we can unpack your things and furniture and arrange them where you want them to be. Unlike other packing and moving companies, we will accompany you during the whole moving process. Whether you’re relocating to a different county or across the country, we will take care of your moving needs. Whether it is packing and unpacking, loading and unloading, you are guaranteed to get high-quality and reliable service. A professionally organized move will go smoothly and easily.